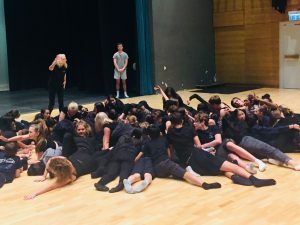 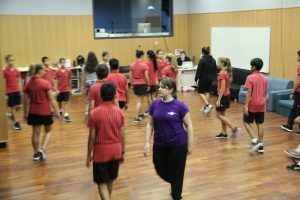 On Thursday 7 June, DC was exceptionally lucky to be able to host Helen Barnett, a workshop leader and actor from Trestle Theatre company, UK. 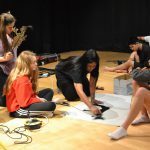 Trestle has been a leading theatre company since the 80’s, specialising in mask work performances and even producing their own range of masks. 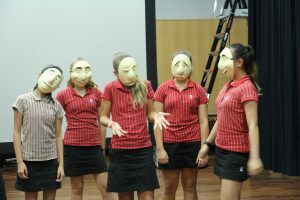 Almost every Drama department around the world owns a box of these magical masks, and we are no exception. 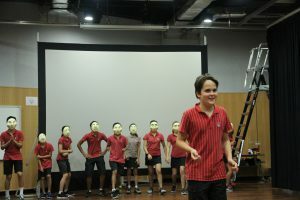 ESF Drama staff had the opportunity to train with Helen for a day, in a staff professional development day, and to complete our curriculum unit on mask work, Helen ran workshops with all the students in Year 8. 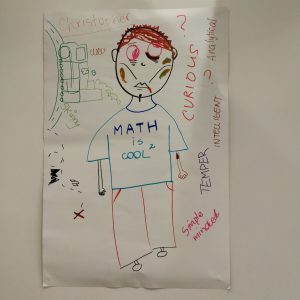 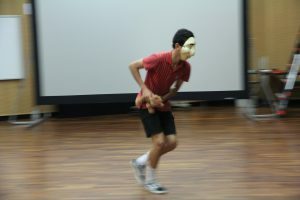 The students worked on identifying the emotions of the mask, creating characters physically, clocking the audience, and even attempted counter-mask (where you can change the perception of the emotion on the mask through using your body)! 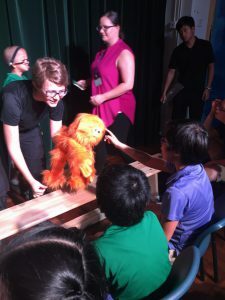 The students had a great time and learned much to take back into our unit of inquiry. 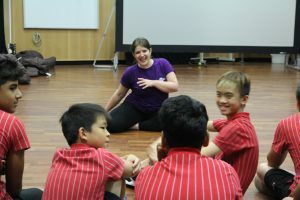 Many thanks to Helen, who was a fun and engaging workshop leader. 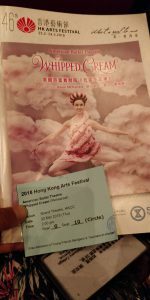 The annual Hong Kong Arts festival provides our community with the opportunity to see some great theatrical productions. 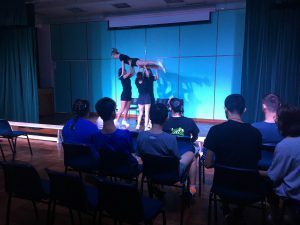 This year, our DC Drama students from years 10, 11, 12 and 13 will have the chance to attend five productions at the festival, through our new partnership with Young Friends of the Hong Kong Arts Festival. 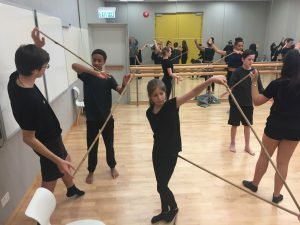 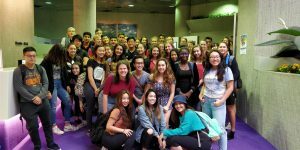 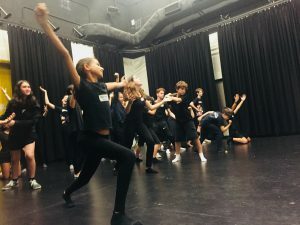 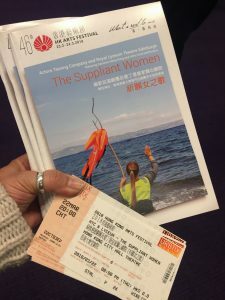 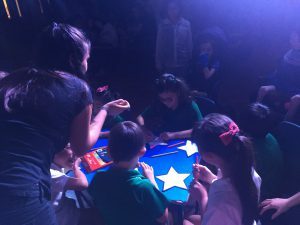 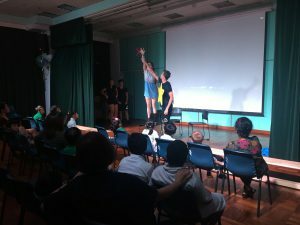 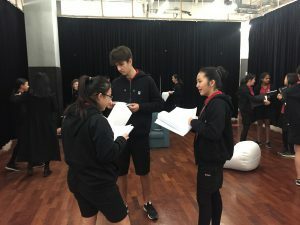 This is a local organisation which promotes theatre experiences for schools and young people in Hong Kong, offering various programmes and events such as ‘Meet the Artist’ opportunities, open rehearsals, backstage tours and masterclasses to encourage and nurture students’ appreciation and passion for the arts. 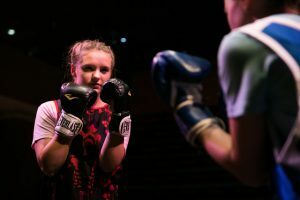 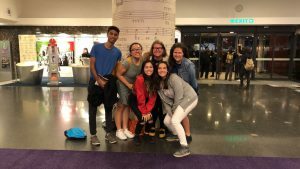 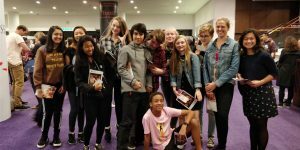 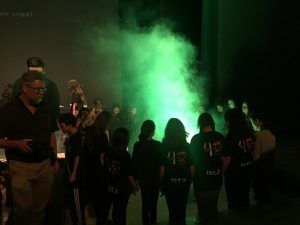 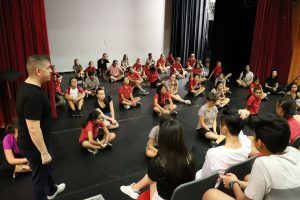 This partnership means we have reduced rates for tickets, and, aside from seeing some great performances, our students will also attend a rehearsal for a production; giving them a chance to see how professional troupes prepare, as well as a workshop in connection with one of the productions. 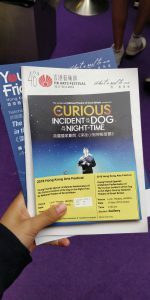 On the 14th of March, we will be taking all out year 11, 12 and 13 Drama students to a performance of the play, ‘The Curious Incident of the Dog in the Nighttime’. 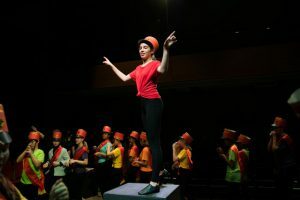 Winner of five Tony Awards® and seven Oliviers including Best Play, Best Design, and Best Director this thrilling production from Britain’s National Theatre has been hailed by The Times as “a phenomenal combination of storytelling and spectacle. 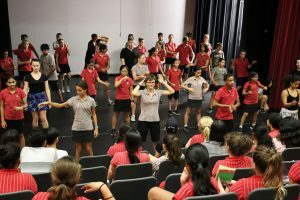 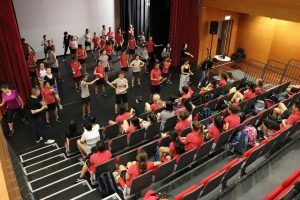 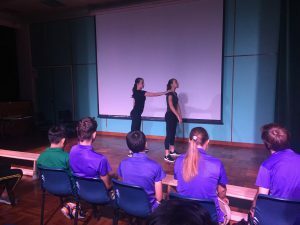 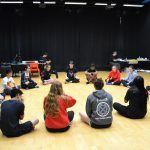 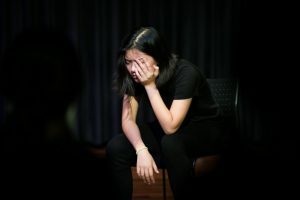 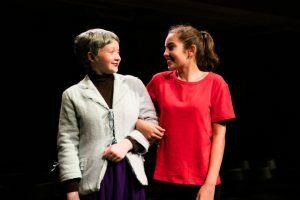 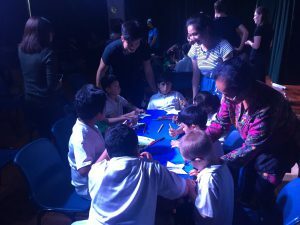 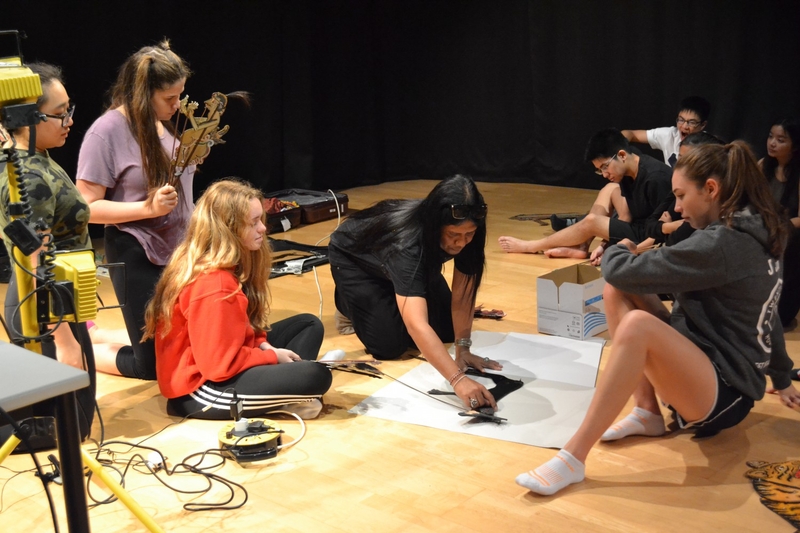 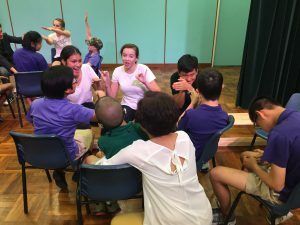 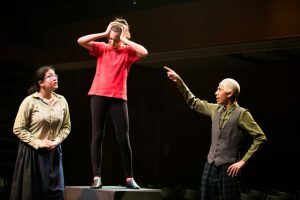 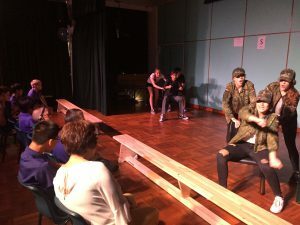 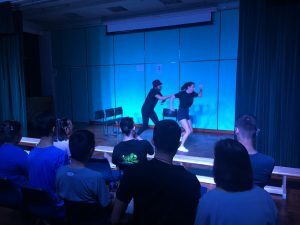 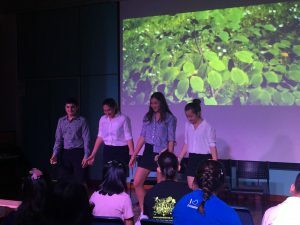 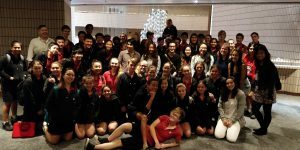 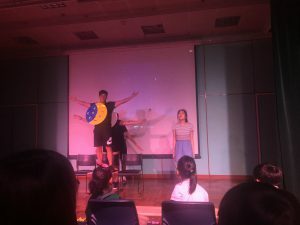 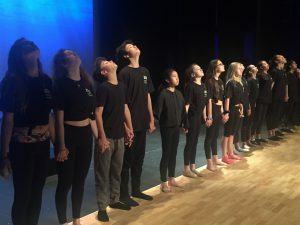 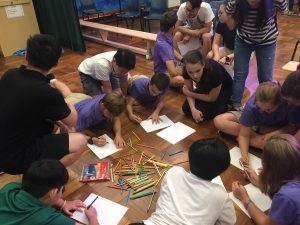 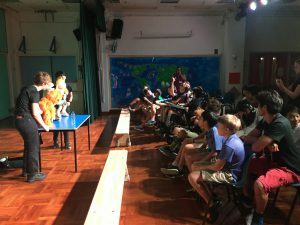 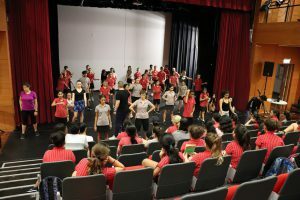 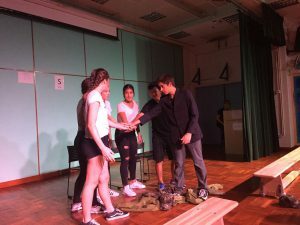 To prepare for this production, our Year 11 and 12 students received a workshop focussed on the play, led by Emily from Young Friends of the Hong Kong Arts Festival, on the 5th of February. 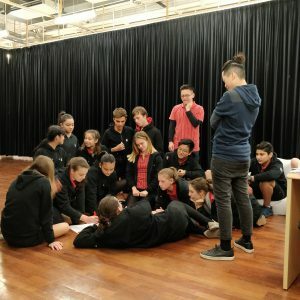 In two groups, our students explored the theme of marginalisation and how differences between people should be celebrated, not merely tolerated, based on interactions with the main character from the play. 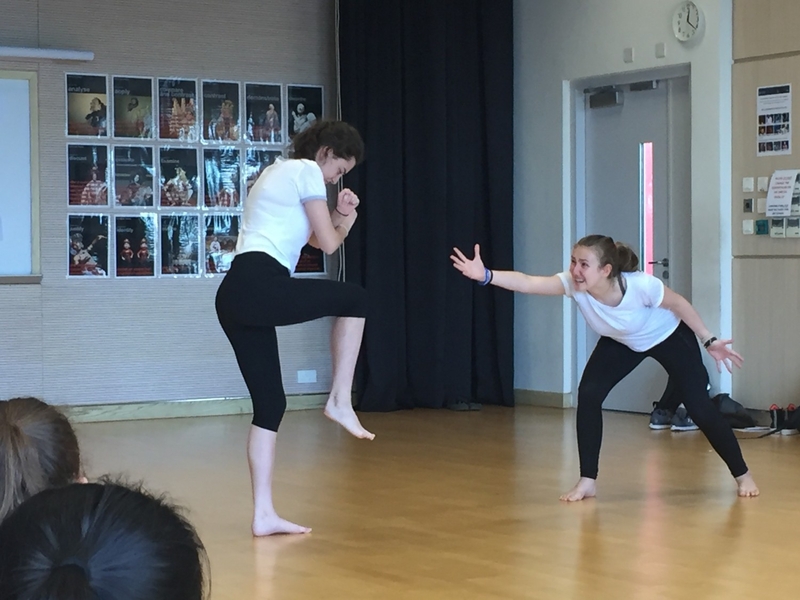 They worked through various devising activities and games; Emily did some fantastic Teacher-in-role acting, and the students worked on improvising a range of responses to the character of Christopher. 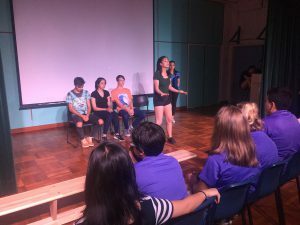 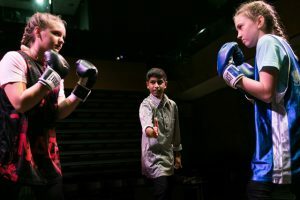 Through a workshop of only one hour, each student from both groups transformed their initial negative responses into a deeper understanding and true empathy for the character, which was mesmerising to watch. 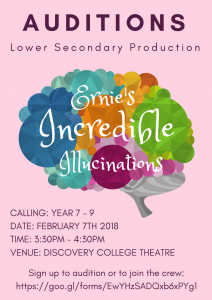 This workshop will give our students a far greater understanding of the play when we go to see it on the 14th of March, and definitely more empathy for the main character. 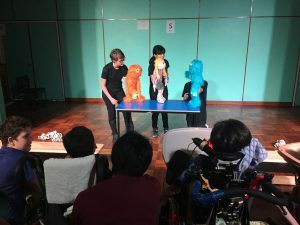 Not only is this useful for appreciating the production, but this also sets our students up beautifully for their next unit in year 11, where they will design and create a piece of theatre especially for students at the Jockey Club Sarah Roe School; our ESF sister school for students with severe learning needs, many of whom also live their lives through the lens of Autism, just like our main character Christopher. 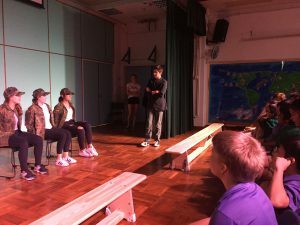 A snippet from Monday; Year 11s and 12s received a workshop on "The Curious Incident of the Dog in the Nighttime"
Another snippet from the workshop on 'The Curious Incident of the Dog in the Nighttime' last Monday, 5th Feb. 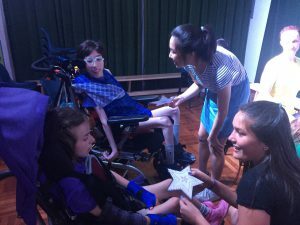 So great to see how caring and compassionate our Year 11s and 12s are! 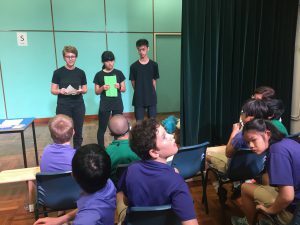 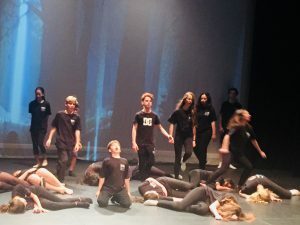 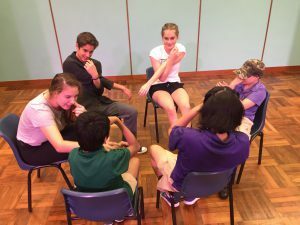 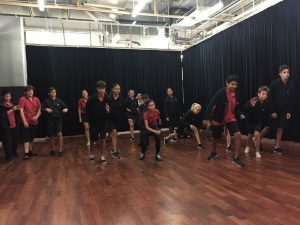 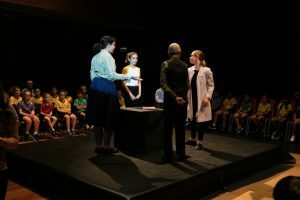 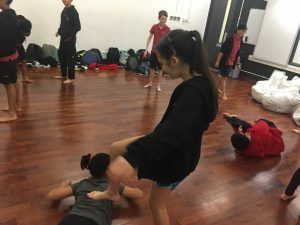 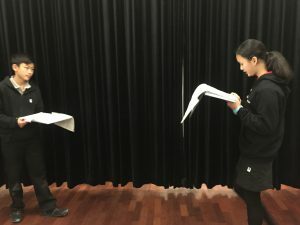 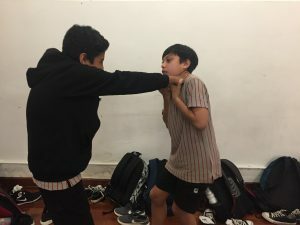 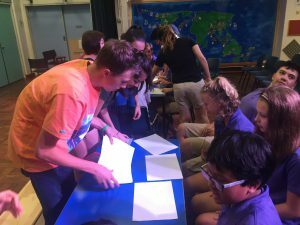 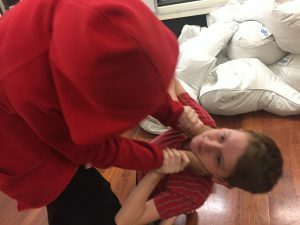 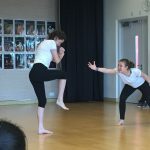 Following a unit on Espionage in which they explored the creation of suspense and tension, the Year 8s currently have a short unit on different acting techniques. 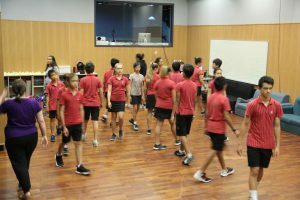 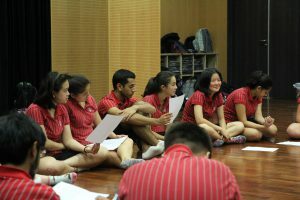 Basic techniques such as the use of voice, using the space, movement, walking the room, tableaux, and creating ensemble and confidence are being practised, with the terms used for stage geography also being recapped. 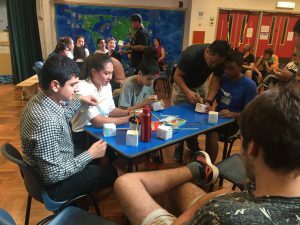 After this current unit, the Year 8’s will be starting a unit titled “Starting Points”. 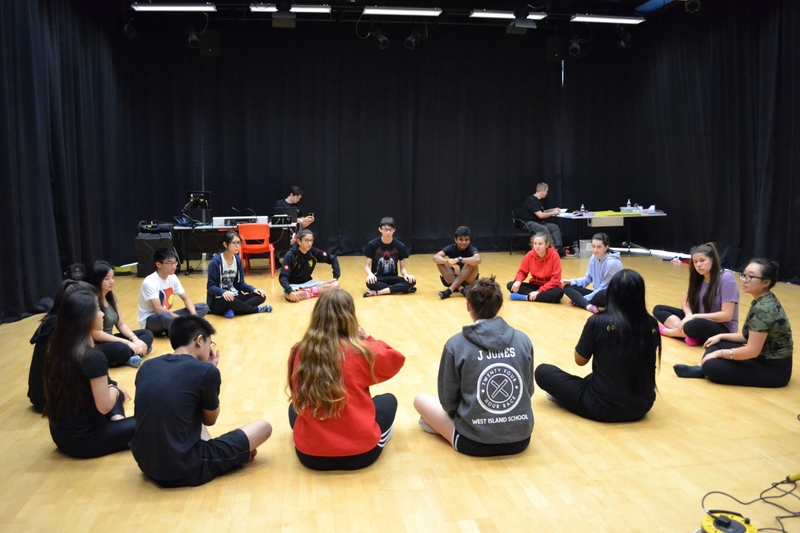 During this unit, the students will be studying the many ways that theatre is created when devising. 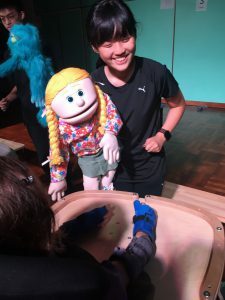 This can be with verbal and physical offers, object theatre (using objects to create a theatrical piece or characters), spontaneous improvisation, or a simple script that must then be developed further to create a story. 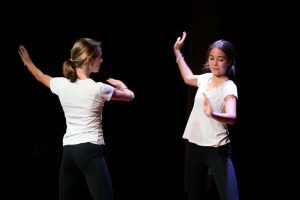 It may also involve the use of stimuli, such as music, pictures, or poetry. 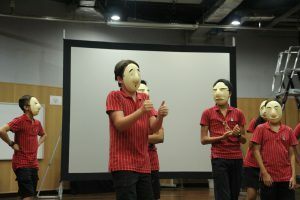 By the end of the unit, the students will be performing their own devised scenes to an audience.